Seema Sharma is a highly respected professional consultant in Southern Ontario’s thriving financial industry. She is currently the president of Wealth & Estate Financial Canada Inc. and has been decorated with professional designations that she has earned during her tenure in the field such as: Certified Financial Planner (CFP), Chartered Life Underwriter (CLU), and Certified Health Insurance Specialist (CHS). Before branching out as an independent entrepreneur, Seema gained valuable experience during her many fruitful years of service as a Regional Vice President with RBC Insurance. This wealth of expertise has made Seema an ideal candidate to host seminars and workshops on Financial, Investment, and Retirement Planning. Seema’s accomplishments have allowed her to carve out a lucrative corner of the financial landscape due to her specialization in working with medical professionals and high net worth business owners across the Greater Toronto Area. Mrs. Sharma’s strenuous efforts in this practice have ensured that many local businesses now have excellent Group Benefits and Group RRSPs set in place for numerous employees. 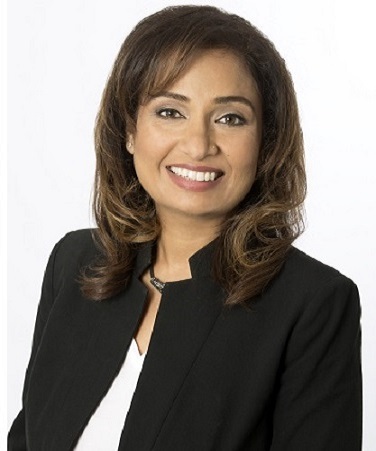 In addition to her voluminous professional accolades, Seema continues to contribute to the growth of the financial industry in Canada by holding the following notable positions upon eminent council groups: Finance Committee Chair for The Bridgeway Family Center Board, Vice Chair for Our Place Peel Board, Membership Chair for the Advocis Board, and Member of Estate Planning Counsel of Mississauga. When she’s not at the office or volunteering, Seema enjoys spending time with her loving husband Abhi and their children and friends in the community of Peel.